iP3: Apple considering 3D camera technology for the iPhone? Apple considering 3D camera technology for the iPhone? 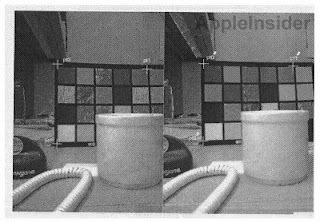 AppleInsider has discovered patent applications showing that Apple may be interested in including dual rear-facing cameras and additional sensors for a new 3D image technology in mobile devices such as the iPhone. The hardware-based system would be an improvement over recent Android devices that include 3D camera technology due to software that takes “guesses” at how to conduct stereo disparity compensation on 3D images. The more guesses needed to process these images result in loss of quality and artifacts. If Apple were to pack this technology into the iPhone 5 would you actually use it, or are 3D cameras on mobile devices just another gimmick? Let us know in the comments!